Hair transplant physicians world-wide are taking additional training to become AFR(TM) Hair Transplant Physicians. They are utilizing specific anabolic profile screening and a special whey protein concentrate shake to get better results with hair transplants. AFR is an acronym for Accelerated Follicular Restoration(TM). The first step of this method involves first screening a hair transplant candidate to see if they are eating or ingesting products that may alter the hormones. Most cases of hair loss are hormone-related. For example. 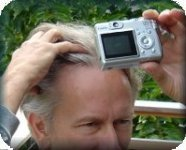 male pattern balding seems to be accelerated by increases in testosterone (linked to DHT) in genetically-prone individuals. Anabolics are chemicals that alter hormones, such as anabolic steroids, creatine, growth hormones, andro or similar products, whey protein isolate, weight gainers, and some fat burners/fad diets. If the hair transplant candidate is taking, or has taken, any of the products that may accelerate hair loss, the AFR(TM) Hair Transplant Physician warns the candidate of the potential negative effect on the hair.Next, if the candidate decides to get a hair transplant, the AFR doctor explains that the patient should start taking Help Hair(R) Shake immediately after the hair transplant. Help Hair(R) Shake is a supplement in a base of whey protein concentrate that includes nutrients specifically chosen to help enhance the hair. A study showed that taking Help Hair twice daily immediately after the hair transplant had significant growth in the transplanted area just 12 weeks after the transplant, while the regular hair transplant patients had no significant growth by then. A follow-up study showed full growth at 6 months, while those who did not take the supplement had to wait 9 months for full growth. Help Hair Shake has also been studied outside of the direct context of hair transplants. A user study of men and women experiencing hair loss showed that 94% noticed moderate improvement in their hair’s appearance after taking Help Hair Shake for at least 4 weeks, using the words healthy, shiny, less hair loss, less hair breakage, stronger, longer, grew faster, bouncier, fuller and thicker. 62% of the subjects noticed significant improvement in their hair. The roster of AFR doctors has been growing since Dr. Shapiro gave a presentation at an International Society of Hair Restoration Surgery (ISHRS) Regional Conference about AFR in May, 2011. Dr. Shapiro presented his research about whey protein production and hypothosized that whey protien isolate, a common supplement, has a negative impact on hormones leading to hair loss in genetically prone individuals; whereas whey protien concentrate seems to have a positive effect on the hormones and therefore the hair. He invited doctors to receive training from him about low anabolic screening and using Help Hair Shake to get better, faster hair transplant results. AFR doctor Dr. Jennifer Martinick, MBBS FACCS is the VP of the ISHRS and recipient of the ISHRS Platinum Follicle Award 2003. She has clinics throughout Australia and 35+ years’ experience in medicine. Dr. Jerry Cooley from North Carolina, USA, attracts patients from around the U.S. and internationally due to his reputation for personalized care and ultra-natural results. He is the current President of the ISHRS. Dr. Marwan Saifi operates his hair transplant clinic in Poland. He is a General Surgeon and a Diplomate of the American Board of Hair Restoration Surgery (ABHRS). He has been performing quality follicular unit hair transplantation since 1995, when he improved the procedure by creating a device called The Hemostatic Dilater which was patented under his name. Dr. Zsolt Revesz is the head of the plastic surgery department at St. Steven’s hospital, Budapest. He is also head of Revesz Plastic Surgery Ltd., in the Istenhegyi Private Clinic. Dr. Shapiro is a dermatologist specializing in hair transplants. He developed the Help Hair line of products and coined the term “Accelerated Follicular Restoration” (AFR) as a method of reducing the dormancy period after a hair transplant. He is training the AFR physicians and invites hair transplant physicians to contact his office about becoming an AFR physician. This entry was posted in Hair Transplant Physicians on July 6, 2011 by Larry Shapiro.